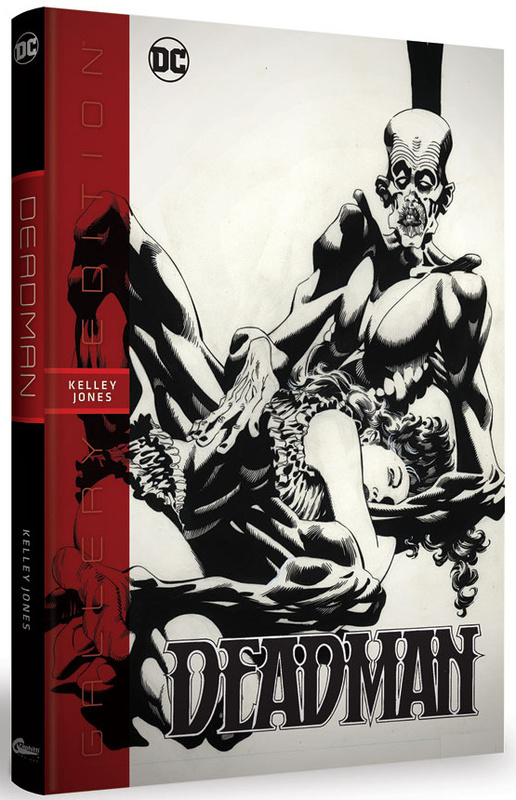 The unmistakable art of Kelley Jones sets the mood for two gothic thrillers in the new DEADMAN: KELLEY JONES GALLERY EDITION. 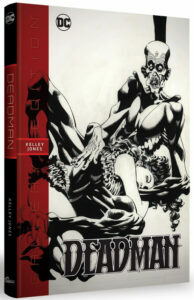 Collecting Jones’ artwork from DEADMAN: LOVE AFTER DEATH #1-2 and DEADMAN: EXORCISM #1-2, this Smythe-sewn hardcover edition is sourced from the original boards and showcases the boldly dramatic line art that established Jones’ creative style prior to his work on Batman and other DC characters. 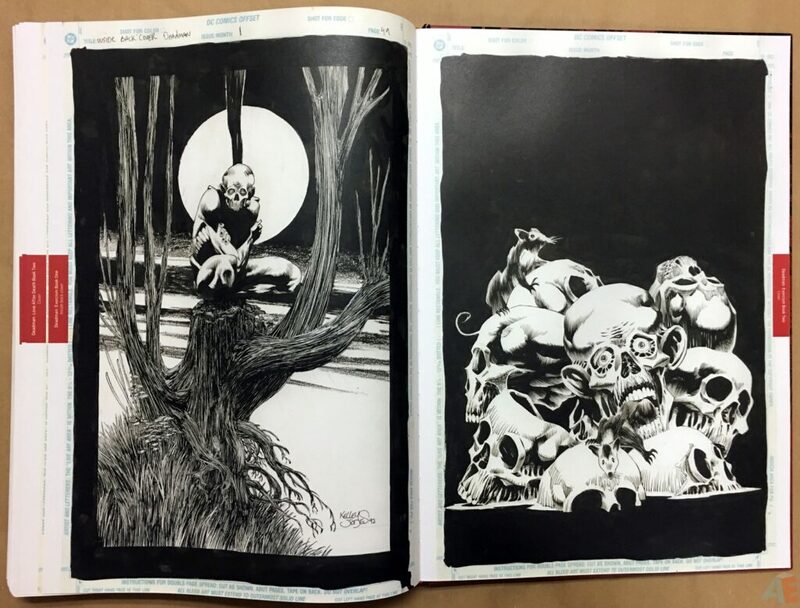 Both tales were written by Mike Baron and first published in 1989 and 1992. 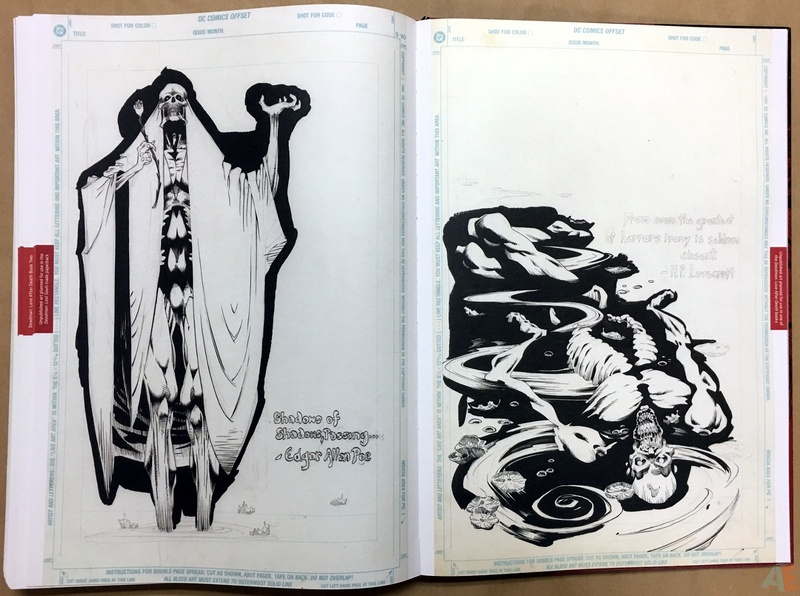 Aerialist Boston Brand comes to (after)life as never before in these graceful, moody pages. 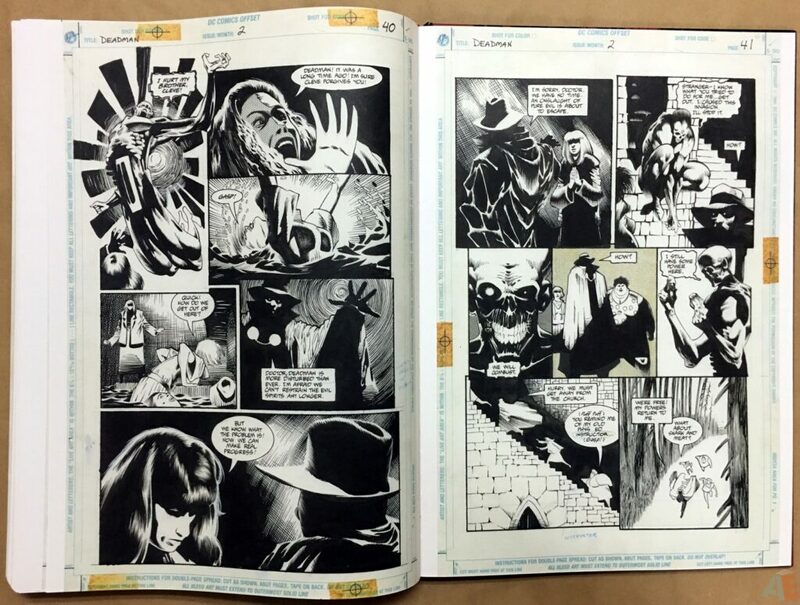 Experience the glory of Kelley Jones’ legendary DEADMAN artwork here in all its haunting beauty! 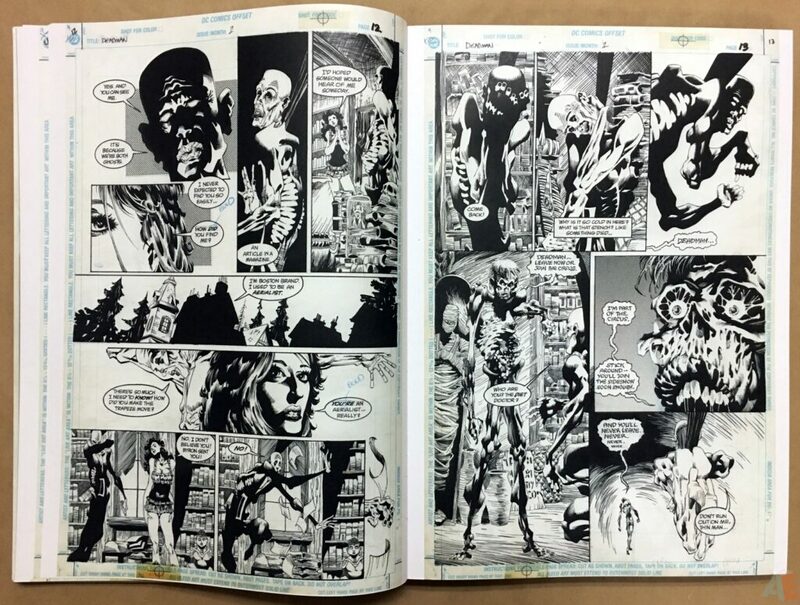 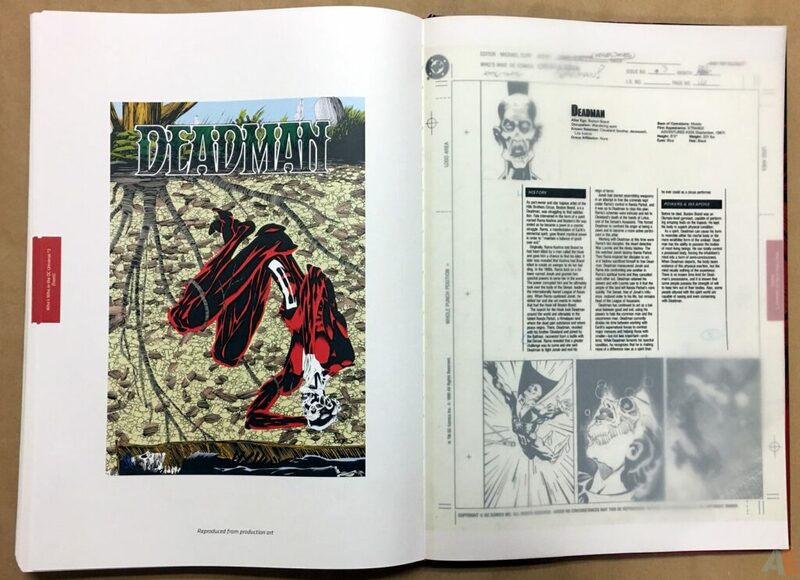 Presented here are the original art pages for two prestige format mini-series, bringing Deadman back to the DC Universe in 1989 and 1992. 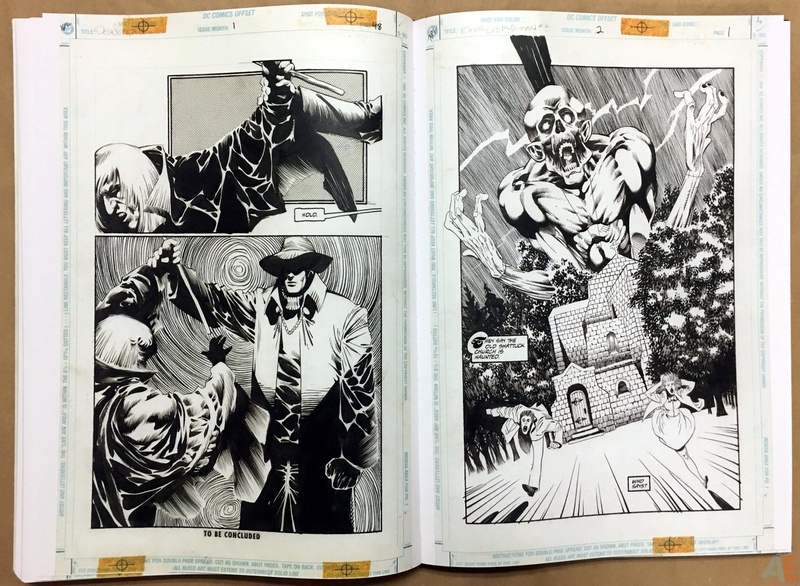 Presented in two parts, this volume features the main story and a gallery section. 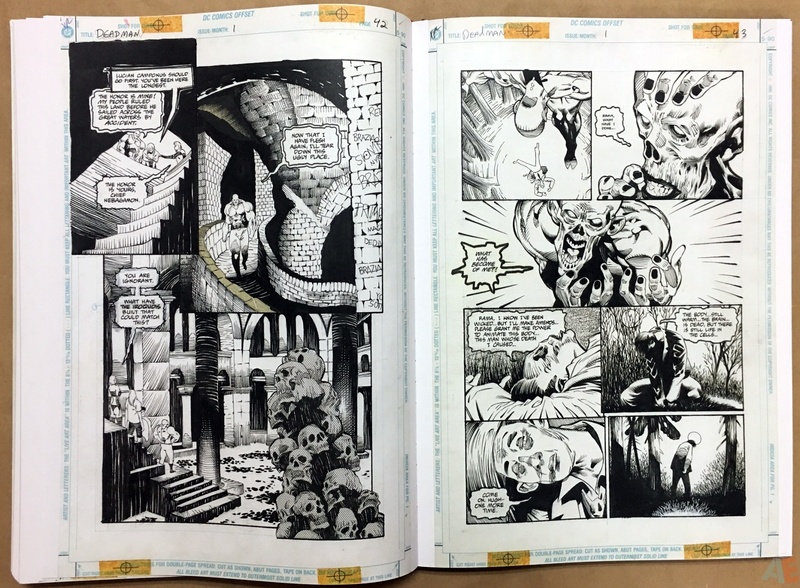 All but five of the original story pages are presented here from original art. 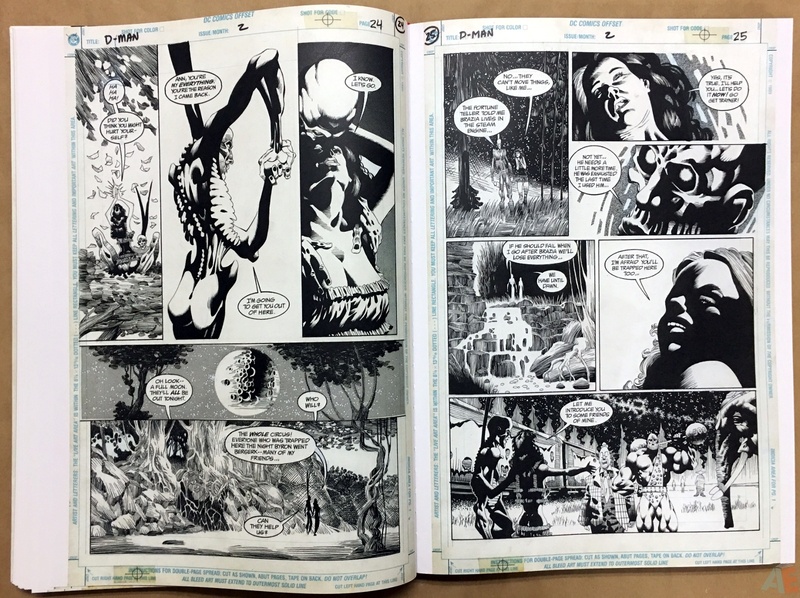 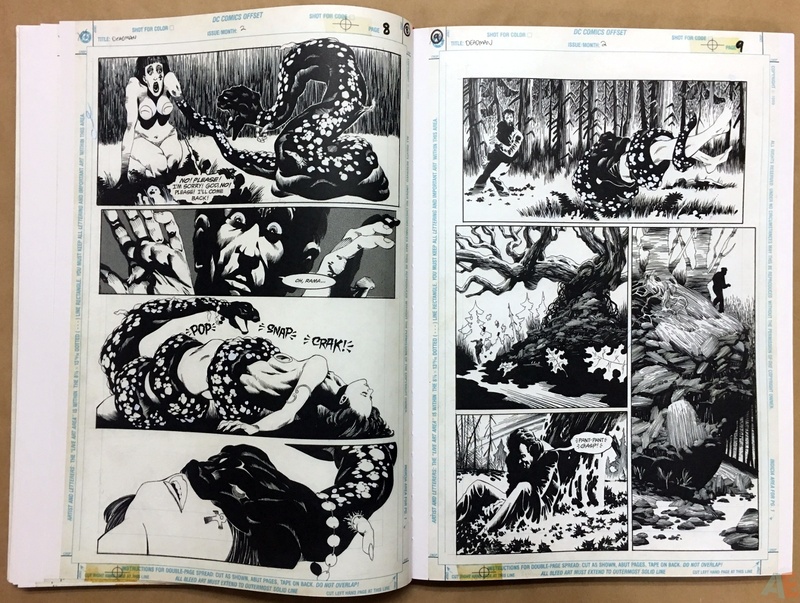 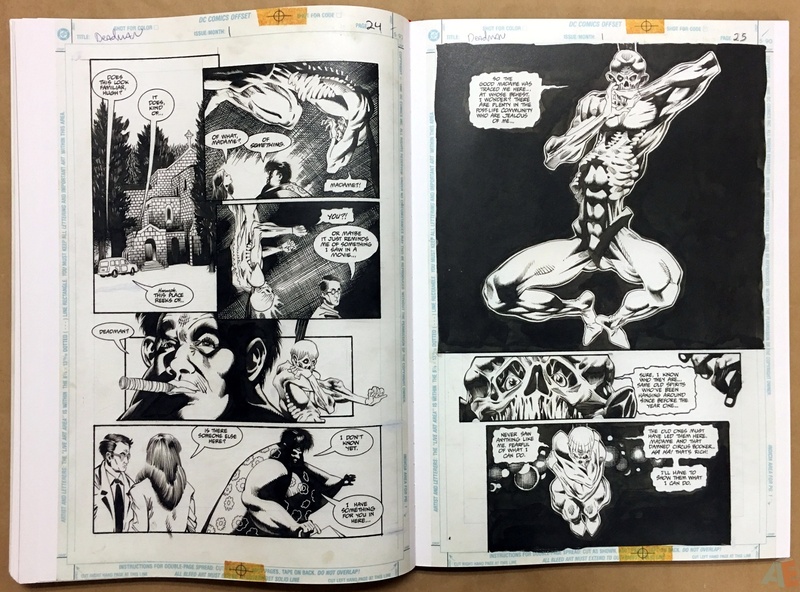 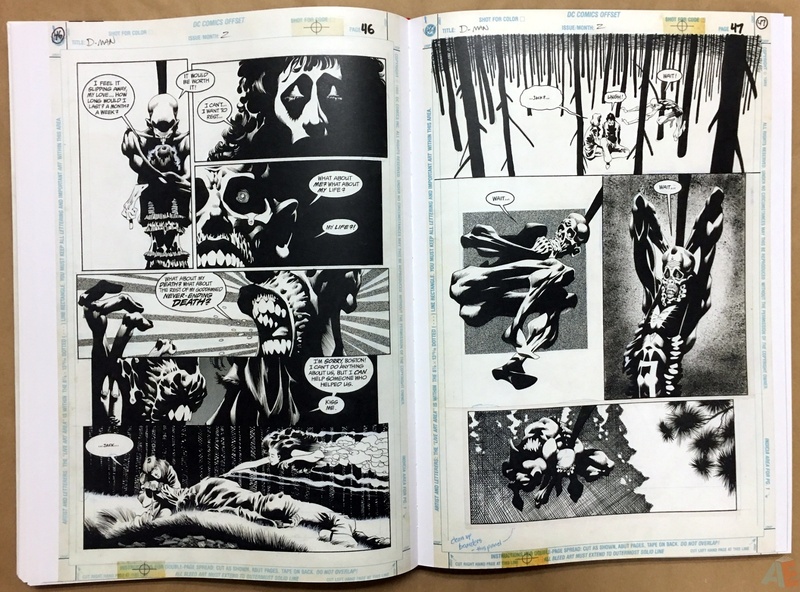 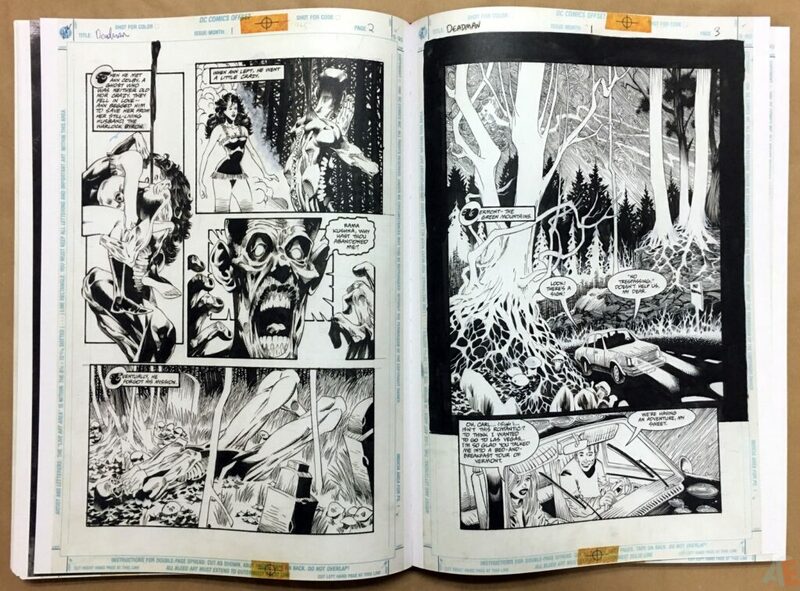 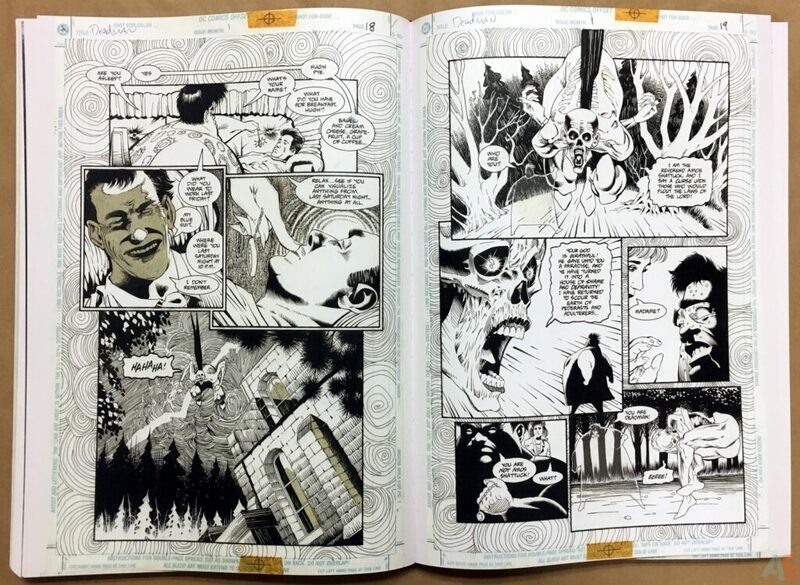 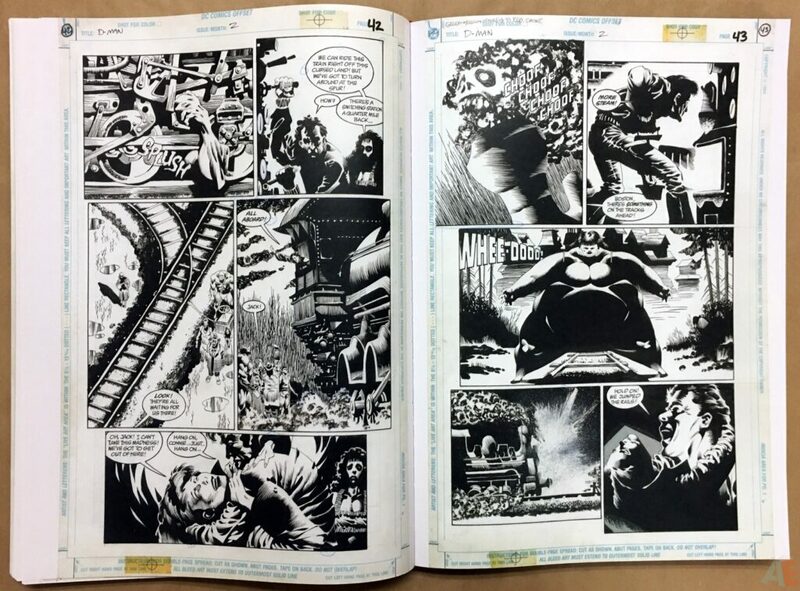 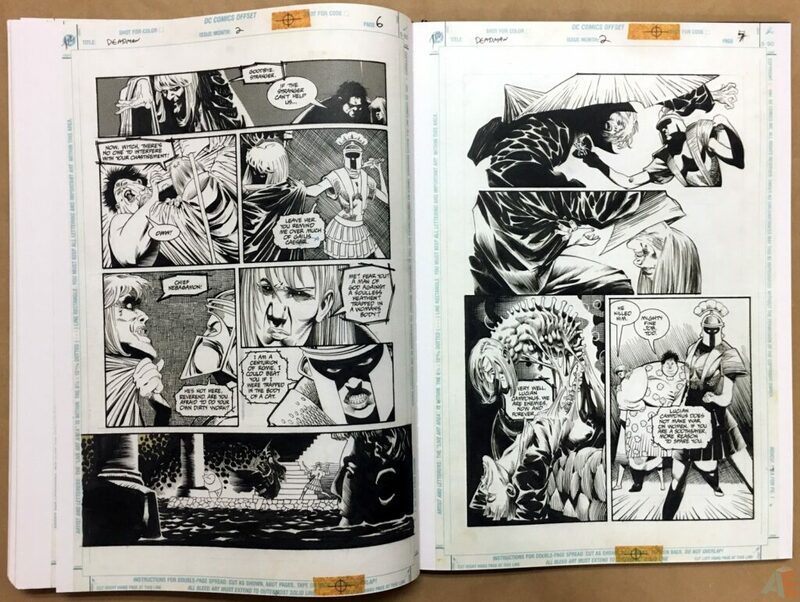 As from the Batman: Kelley Jones Gallery Edition the missing pages are presented from the colorist’s original work, save for one that’s from production. 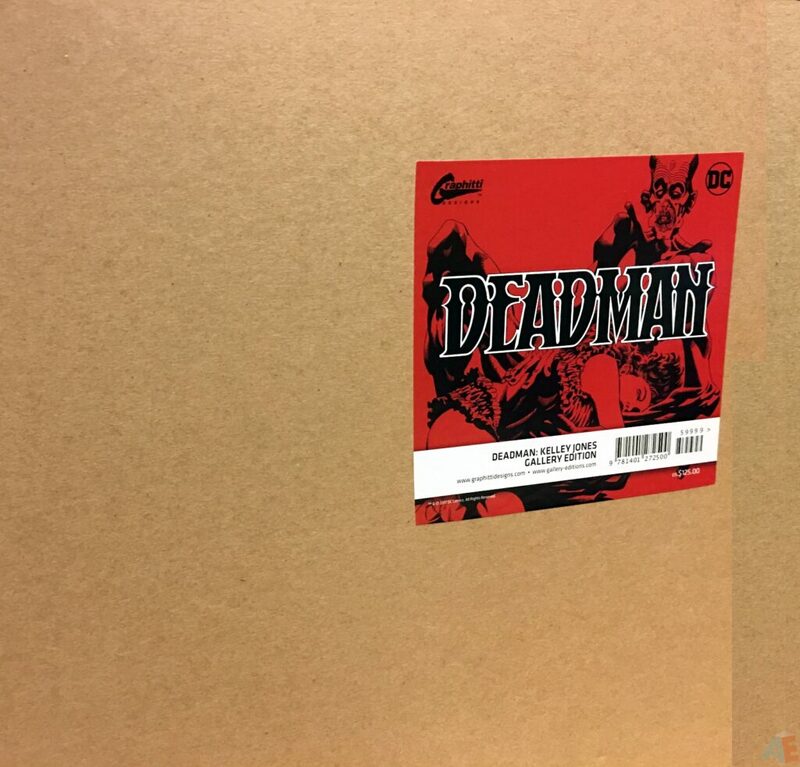 More production reproductions in the gallery section for completionist’s sake. 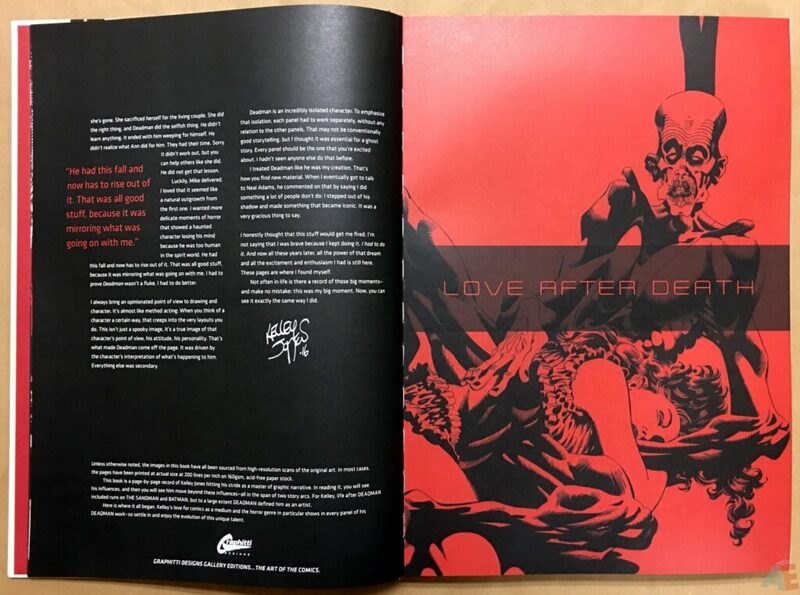 I was struck by how much more I enjoyed Love After Death over Exorcism; the art seemed more intense and dark. 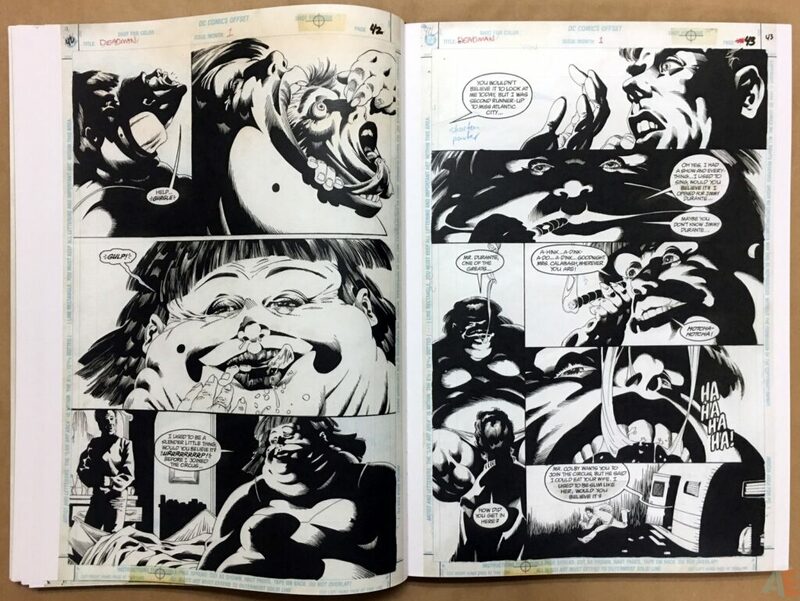 Being a big fan of inks and well used blacks, those first two issues contrasted heavily against the less inky Exorcism, whose art and presentation seem more nuanced and refined. 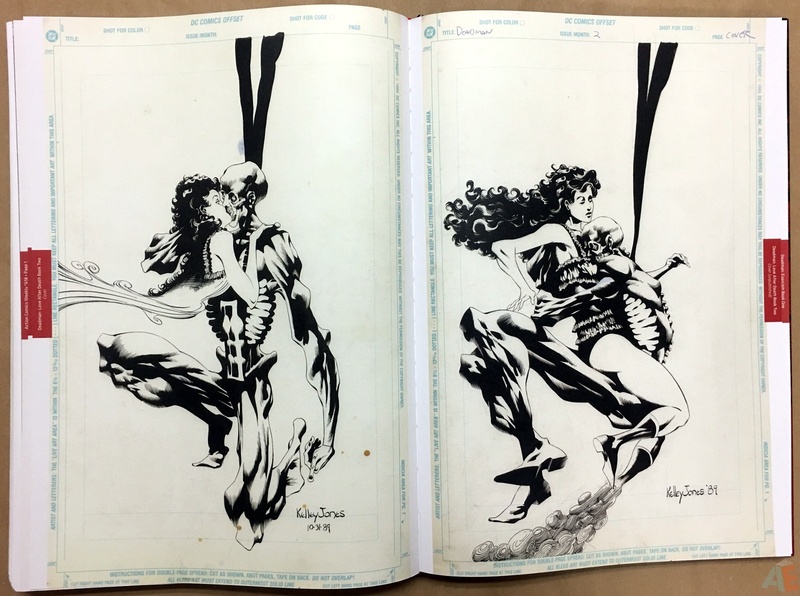 Art is a very personal preference after all. 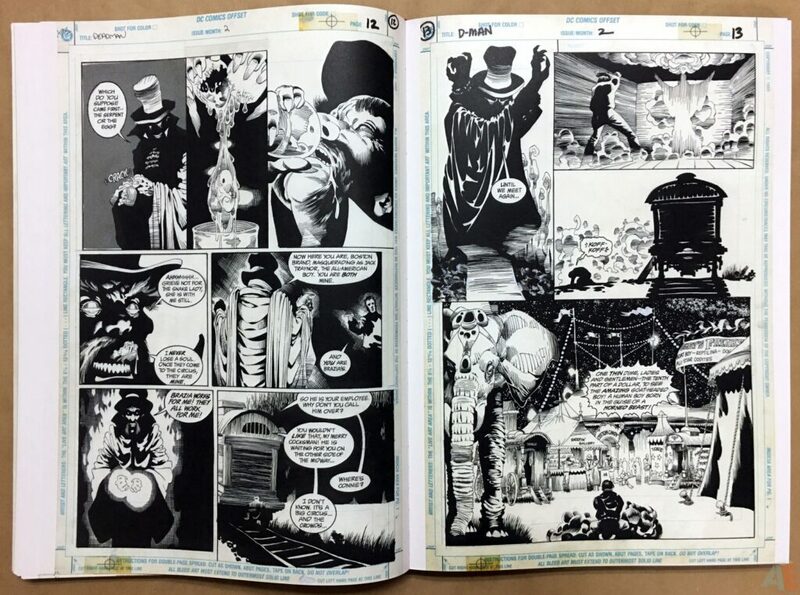 Scans are excellent; sharp and detailed throughout. 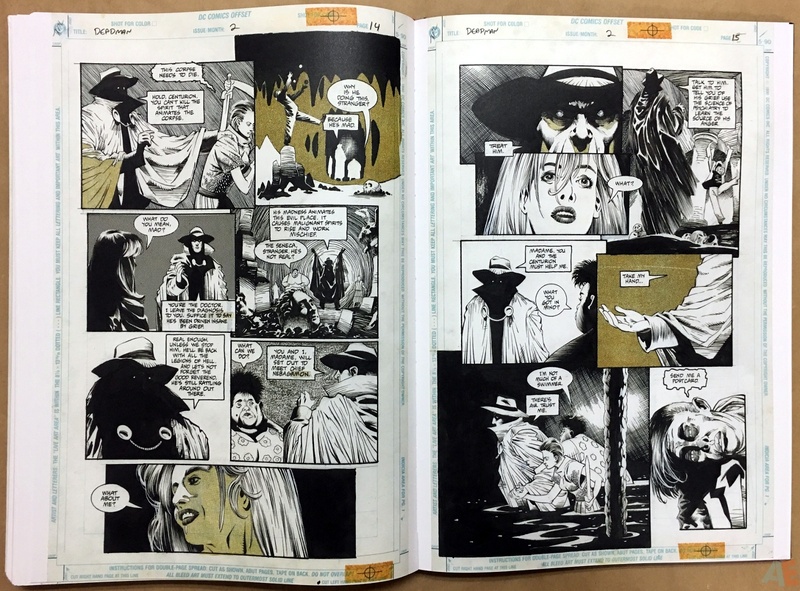 The blacks are rich and deep with minimal gradients. No margin notes, but Jones did the pencils and inks. A lot of zip-a-tone used in the Exorcism issues. 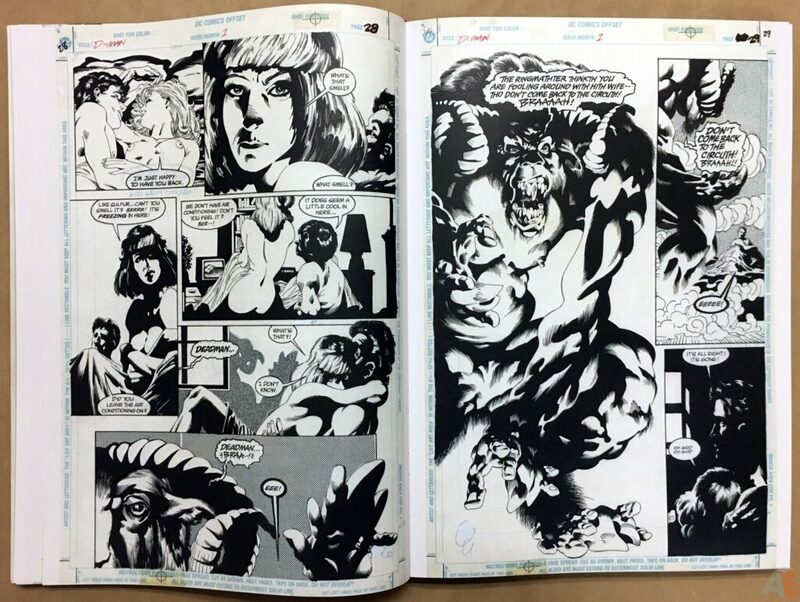 Very few corrections. Josh Beatman continues to use his elegant and eye catching format, this time playing heavily on the blood red of Deadman’s costume. 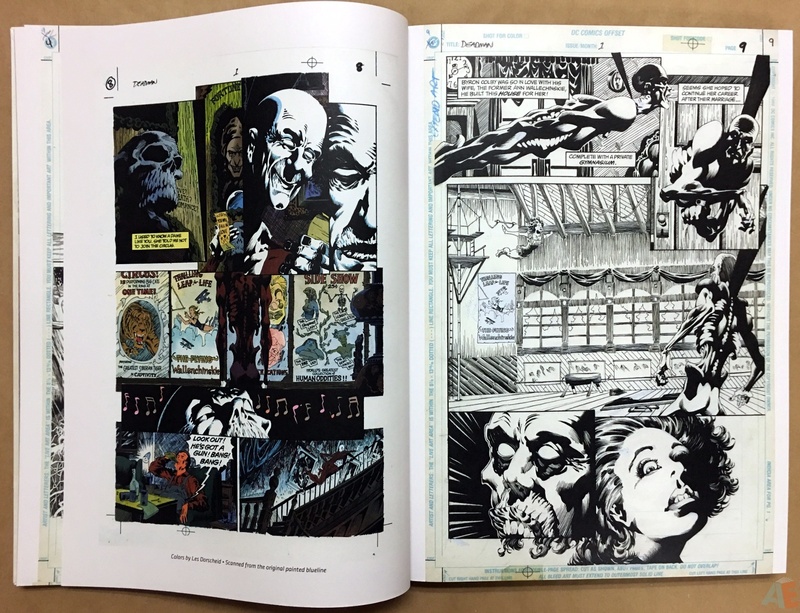 The consistency of the design across the Gallery Edition line is a meaningful unifying element. 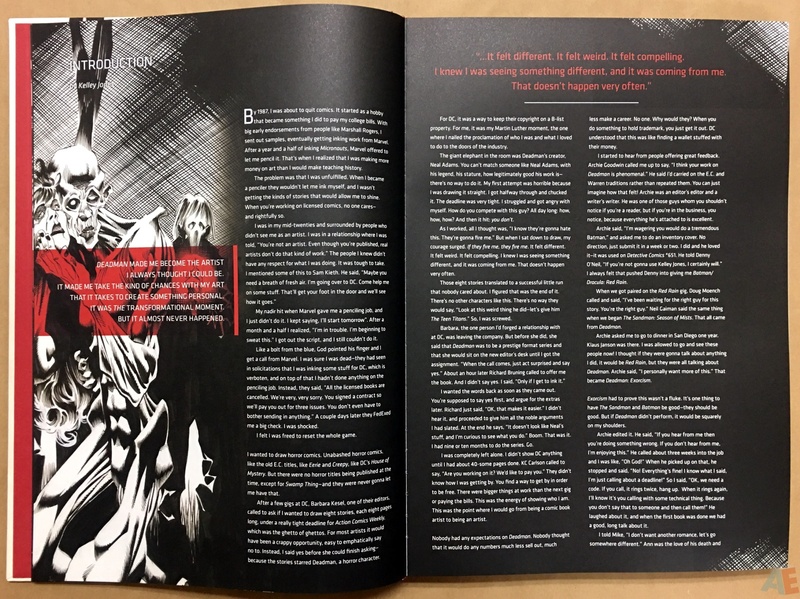 All art used on chapter breaks and introductory pages is clear and clean; no blurry enlargements here. 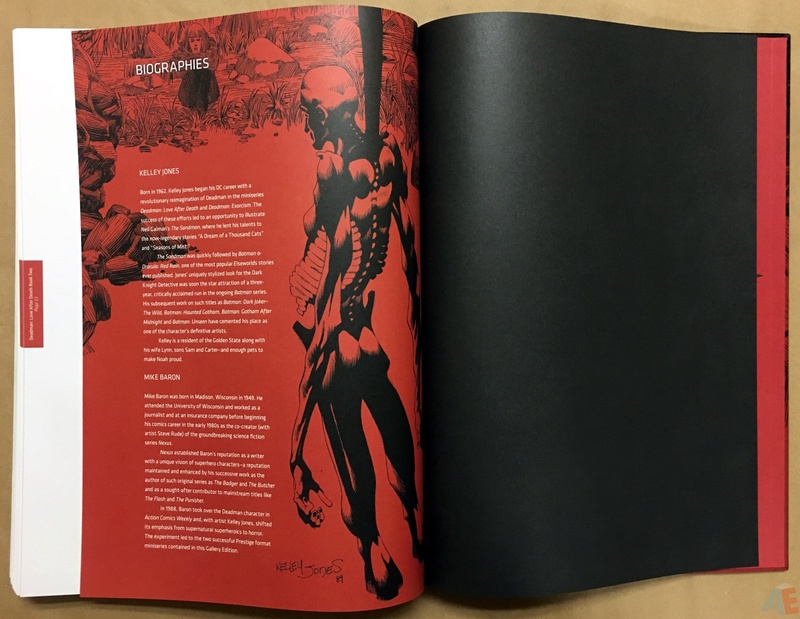 Of course it wouldn’t be a Gallery Edition without a few overlays, and we’re treated once again on a magazine cover and a gallery piece. 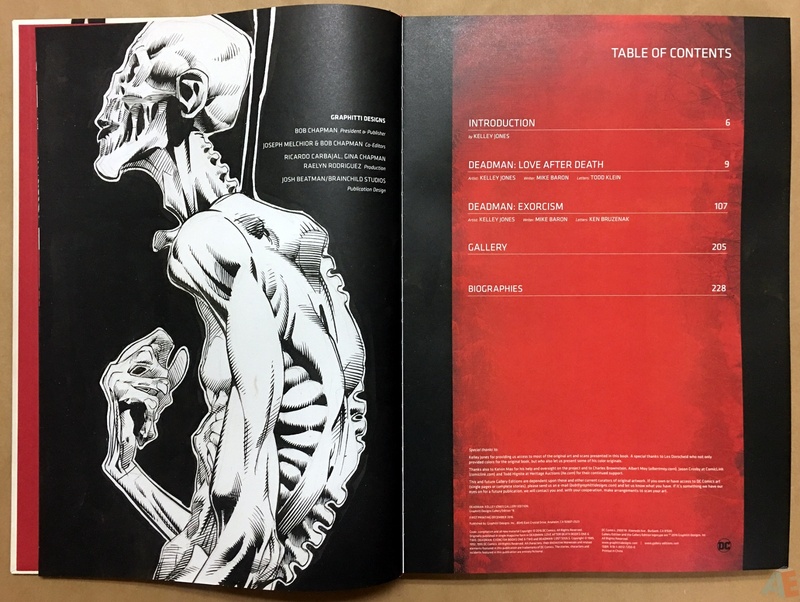 A table of contents but no page numbers unfortunately. The book opens with a detailed introduction from Jones and closes with a one page biography for Jones and Baron. 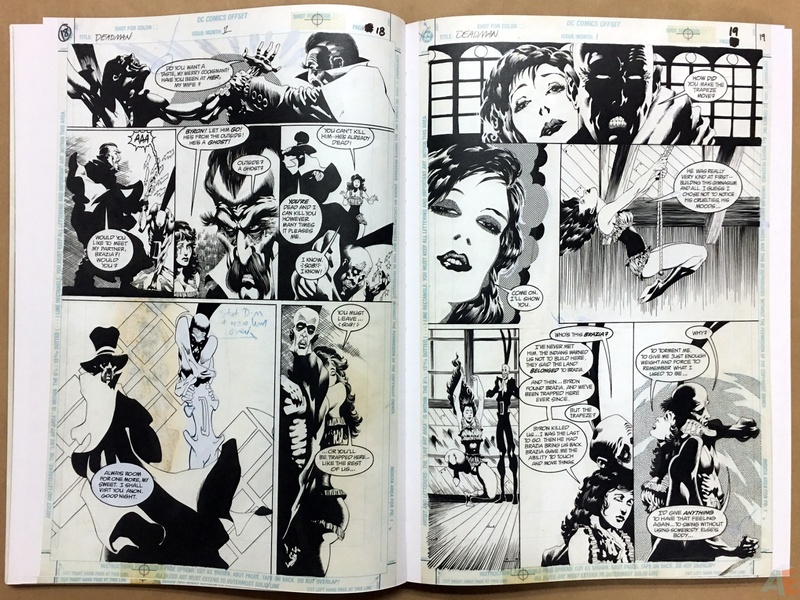 Another superb production from Graphitti Designs. 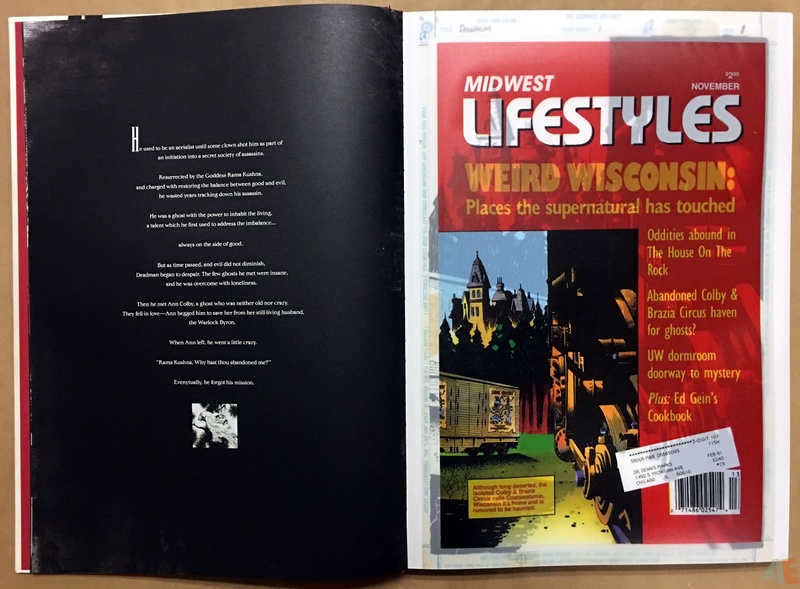 Sewn binding of heavy matte paper stock. 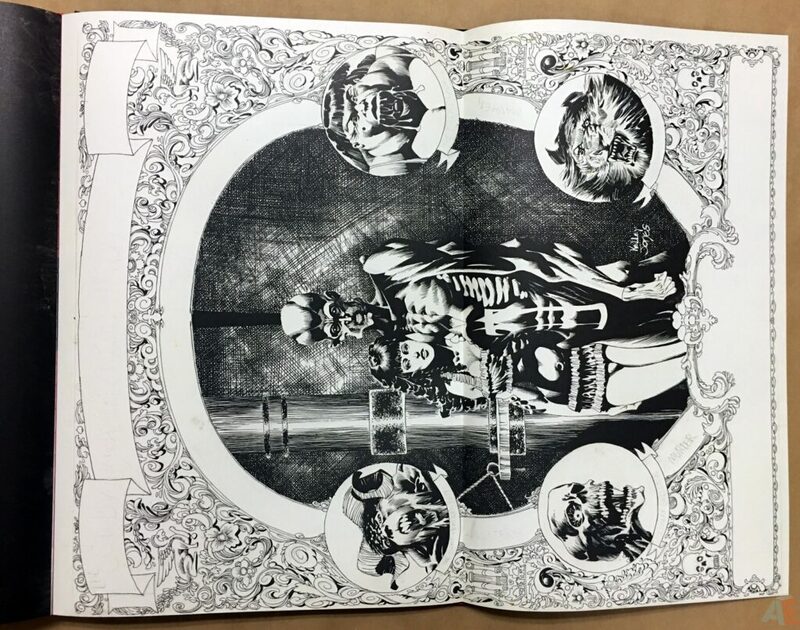 The book opened flat to most pages with a smoothing of the center. 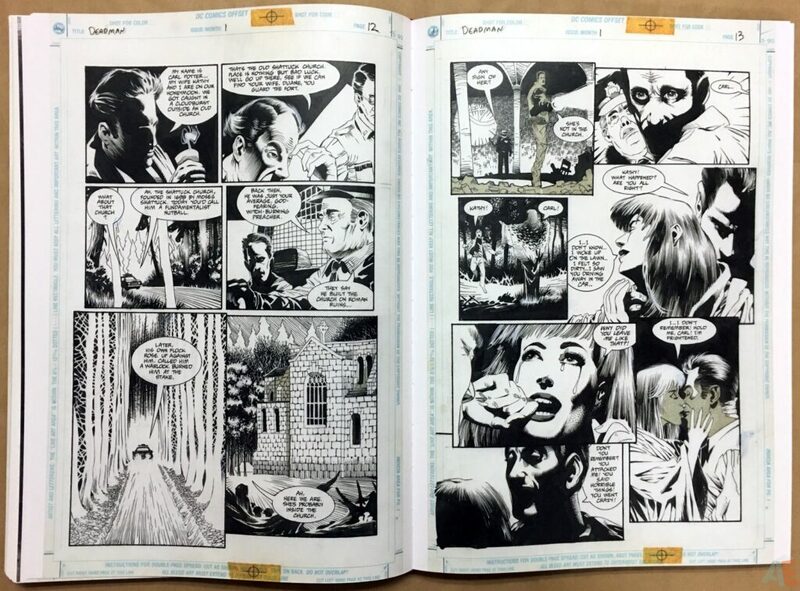 In fact the binding may be a bit loose: two of the bottom signatures folded over when I was flipping through the book. 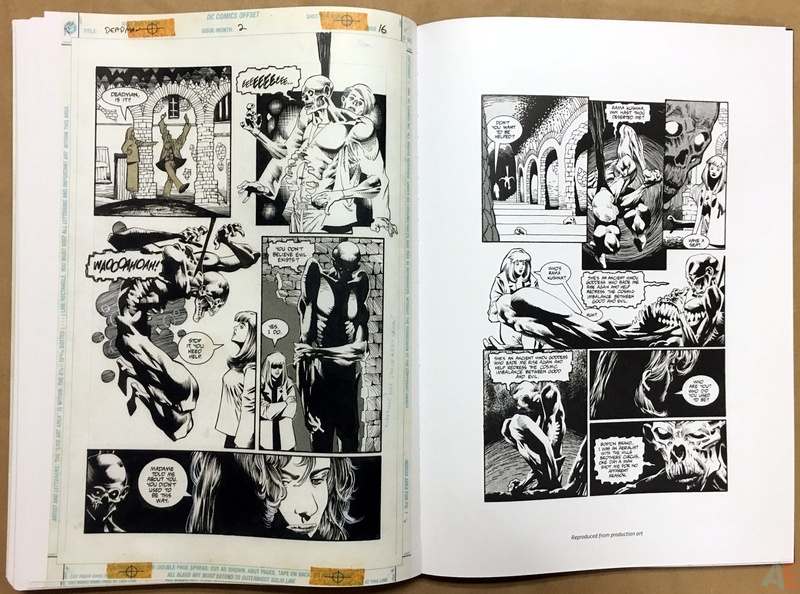 The book comes shrinkwrapped in a cardboard case with a small colour sticker showing cover image, UPC and price.